Doka UK, February 2, 2018.- The adoption of emerging technologies by the construction sector will follow a different path for each company. In some cases, virtual reality glasses are very useful for the design of a building, but perhaps it is less useful for construction workers. The Industrial Internet of Things (IIoT), a topic which we have discussed in several blog articles, can be a technological advance applicable to many construction activities. Drones can also be an easy device to enter the construction industry, both for their costs and for their easy handling. Due to innovations like these along with the progressive digitalisation, we are now going to take a closer look into various new technologies which offer new solutions to the industry. Startus magazine have published a detailed report on the technological innovation applicable to construction. In this article we make a quick summary. Startups, as well as researchers, work on improving existing materials and components through reconfiguring the chemical structure of building materials to ultimately turn them into smart materials. Materials already on the market include self-healing concrete, thermal insulation aerogel, photovoltaic glazing, and kinetic footfalls to name a few. So far, these innovatory materials harness energy from pedestrians and cars to instantly generate solar energy for skyscrapers, they avoid the ruin of concrete and reach a maximum efficiency of thermal bridging. Virtual and Augmented Reality (VR & AR) allow professionals to test every centimeter of a building in an artificial computer environment thus preventing damage to persons. These technologies also aid in managing the most dangerous risks of the construction process. Leading companies already test the resilience of roofs with different loads of rainfall, wind or snow to estimate the limits of destruction. Additionally, AR and VR equip construction companies to forecast erosions in buildings and structures by running a computer simulation with determined close-to-reality settings. Building, engineering and architecture professionals use 3D printing technology to create very detailed models as well as particular real-size objects or parts of them that are difficult to produce. 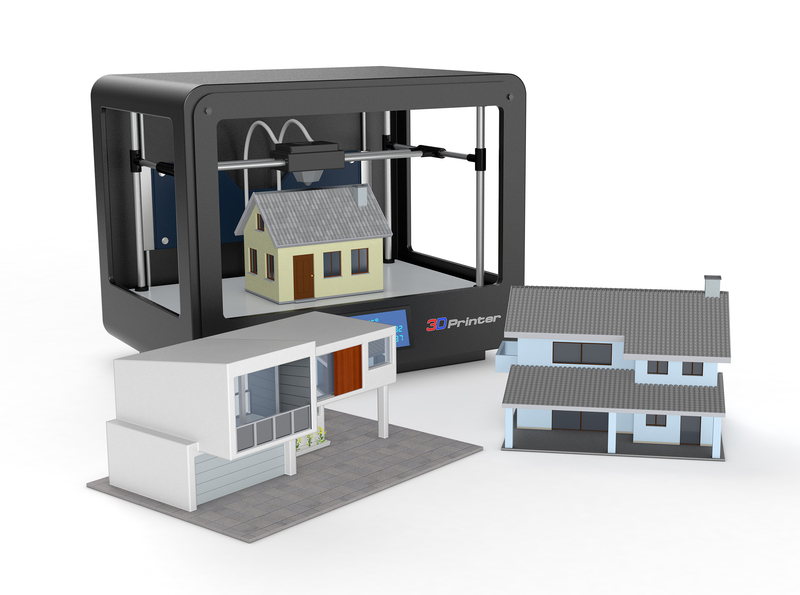 Earlier this year, a home was 3D printed on site in Russia at a fraction of the cost of a traditional house (8.527 Euro). Furthermore, it took less than 24 hours to build and is expected to last up to 175 years. On top of that, a technology emerging in the 3D printing sphere is Additive Manufacturing. The main advantage of it is its layer-upon-layer approach which qualifies construction companies to create objects using various materials like plastic, metal, or concrete at the same time to simplify the engineering process. Tightly connected to VR and 3D Printing as well as construction management software, Building Information Modelling is a new level of cooperation between architects, engineers and other participants of building projects. This technology allows all involved to exchange and share information on a construction project online and immediately implement the new information into their work process. Additional to this, the use of BIM saves time and avoids costly mistakes in the construction industry. The key value of IIoT in the construction sphere is based on the data collection and online inspection of infrastructure. It is vital to explore assets online as it makes it easier to quickly make decisions and implement immediate improvements. The installation of digital devices on a building site is not only efficient from an observing point of view but also to avoid potential hazards and adapt future solutions to the available conditions. In the nearest future, street lights will measure traffic and warn drivers about possible accidents along with numerous sensors that will catch every signal of an upcoming threat to infrastructure. Construction companies are recognising that intelligent software solutions save a lot of valuable time and money in the construction process. Solutions, for example, measure and manage all building materials in warehouses, predict procurements for upcoming iterations, and to receive automatic invoices for every purchase. Moreover, construction software solutions give a very clear understanding of the performance of a building company by providing detailed analytics and reports through customisable dashboards. 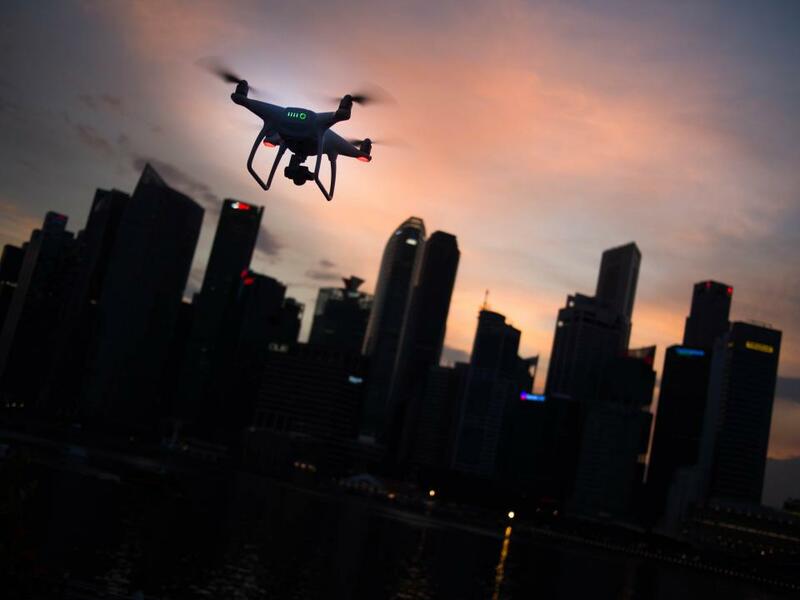 Furthermore, powerful cloud services developed specifically for this industry are equipped to store a vast amount of data gathered by drones and other digital services. Innovation is not only tangible in construction materials or the creation of models, it is also seen in sustainable energy. In particular, this innovation area revolves around extracting more energy from existing processes. For housing and building projects, this refers to the energy that is needed to maintain them as well as the need to explore sustainable options. Drones provide construction companies with precise, high-quality information. The vast amount of data they gather by utilising surveying technologies is processed afterward through the creation of 3D models or the optimization of the engineering process. In the construction industry, they are used to inspect towers, lands, roads, infrastructure, and cranes among others. All necessary data is delivered in a very short amount of time, making this technology a resourceful efficient solution. 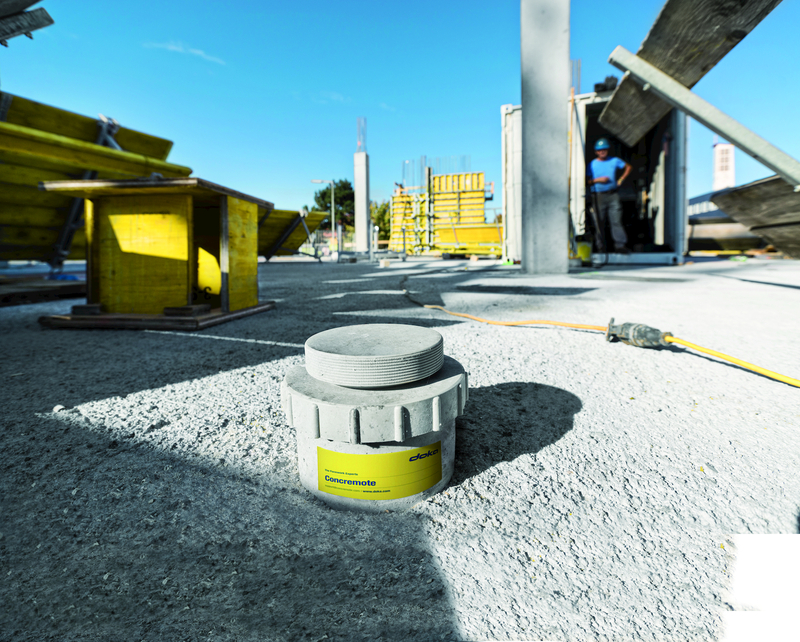 Doka’s innovative Concremote, is a real-time concrete strength measurement solution which provides construction customers with almost-instant poured concrete situational awareness and knowledge. Concremote combines estimation and scheduling with performance tracking and control via a mobile-internet-connected sensor that measures the compressive strength gain of fresh concrete. It is an integrated system providing actual information on concrete performance to support decisions for subsequent construction work and has already been used across a number of high-profile projects in the UK, including Crossrail, Tottenham Hotspur’s new stadium, Mace’s Newington Butts development and Multiplex’s White Collar Factory scheme on London’s Old Street.